Discussions regarding democracy are endlessly complicated in this economic and social climate, where labelled ‘democratic states’ are discovered to be riddled with corruption, repeating hierarchies and decisions imposed upon its inhabitants without consent. ‘Democracy in its purest or most ideal form would be a society in which all adult citizens have an equal say in the decisions that affect their lives. In Western societies, we have the opportunity to vote for those that will lead us from above, we have laws that will intend to protect our human and civil rights and we generally have freedom to move and do what we wish. I was aware that within the PRC this behavioural freedom was not possible from the short period of time I lived there. Through conversations with artists, students and other locals – the government controls everyday thoughts and suppresses requests for change. Physical evidence of discussion of governmental control is also highly censored – there is to be no mention of issues such as Tiananman Square or Tibet, and if there is, the perpetrator is severely punished. The information board at my own exhibition in Chongqing, which explored issues of online ‘redirection and network timeout’, was amended when translated into Manadarin so as not to offend. 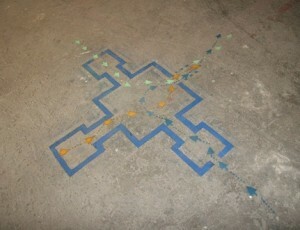 However, through quiet conversation with other artists we discussed these matters carefully. Concrete hierarchies within the communities I met were evident. I was most personally upset by how females still have such low status within society. Challenging, opinionated and confident women, such as the few female University Art Lecturers I met, were kept in a separate category to the ‘beautiful’ submissive females destined to be homemakers from the age of 25 years old. Men should have a wife, and mistresses are accepted as the norm. Similarly, female prostitution is commonplace, with a tiered system of clients and prices on offer. Other equality and safety issues became evident, although China has entirely avoided the overly sanitised bureaucratic approach we take to living our daily lives in the West. In some ways, if was as if time had been rewound by 60 years or so. Democracy is an ideal, almost utopian state of affairs, where can equally contribute to the formation and control of the world we live in. The internet offers us boundless opportunities to communicate our own opinions, generate information, knowledge and form forces that are evidently powerful from recent political movements that have been carried on social networking sites. 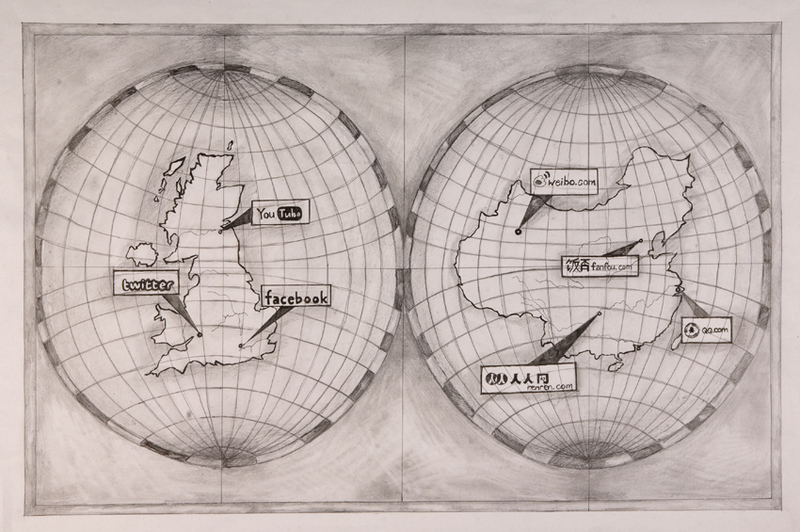 Theorists such as Geert Lovink advocate the power of the activist potential of online space and communication. But of course, you must be able to access the sites to begin with to be able to offer any personal thought or contribution. Is there hope for a democratic or libertarian approach to digital space within the PRC? The governing of the digital space closely mirrors the governing of the physical space, but without the opportunity for antagonism can there be any possible development for democracy? As China continues to trade globally it promises to adjust its internet governance to reflect this international position. Time will tell. What is certain, is that within People’s Republic of China, digital space is governed very similarly to physical space, with equivalent extent of constraints and laws placed and enforced in ‘real space’. 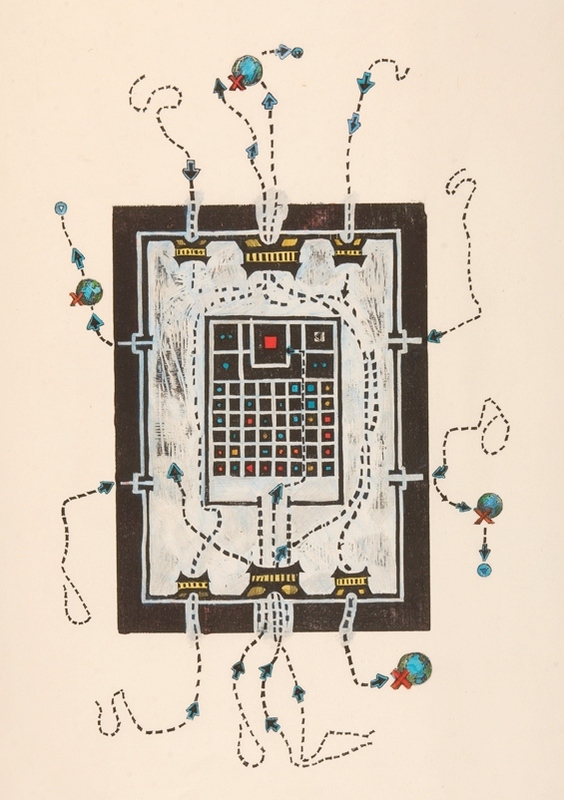 In one sense, this approach is progressive as the PRC treat the unquantifiable notion of ‘digital space’ – which we often disregard in the West as not even ‘space’, or an ‘other space’, such as within Foucault’s definition of heterotopia . This ‘other’ space, has become the space within our phone, computer, television and Kindle that we ‘occupy’ more and more – should we not abide the same courtesies and regulations as in everyday walled space? As outlined as the PRC’s governmental white paper, which can be read on the PRC State Council’s web-site , the government communicates that it seeks to promote free speech, movement and exchange online. However, the situation online is very much one of close control and inspection as outlined in my last post. When internet users in the PRC attempt to enter Western social networking or blogging sites, or in fact any sites deemed with inappropriate content by the government, the user is re-directed to another ‘safe’ site, or a notice comes up advising the ‘netizen’ that the server has timed out. 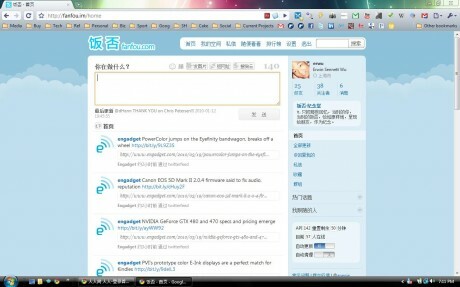 Similarly internal social networking sites in the PRC, are closely regulated by government officials. What is certain and commonplace is that you will be regularly told such a fallacy about why you cannot enter a digital space. 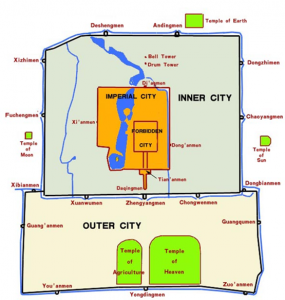 Prior to my six week residency in China, I had researched into how historical architecture and town planning from the Ming Dynasty functioned on this system on this very system of hierarchical control. 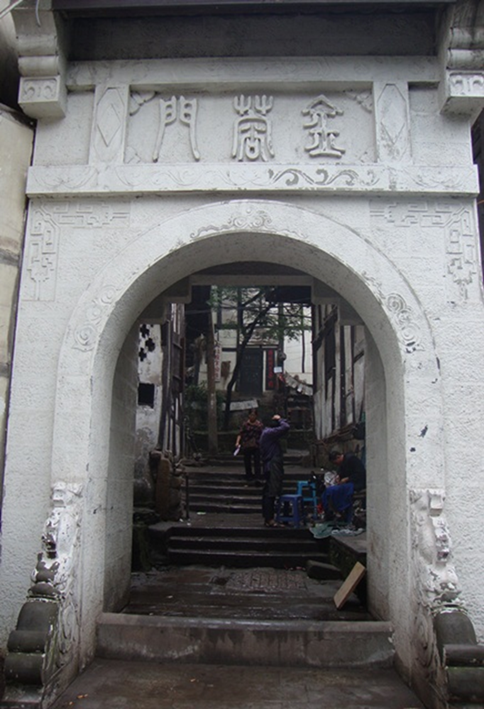 Within the PRC, Ming Dynasty town layouts from the Empire of the Great Ming (from 1368 to 1644) form the basis of many ancient cities and towns across China. 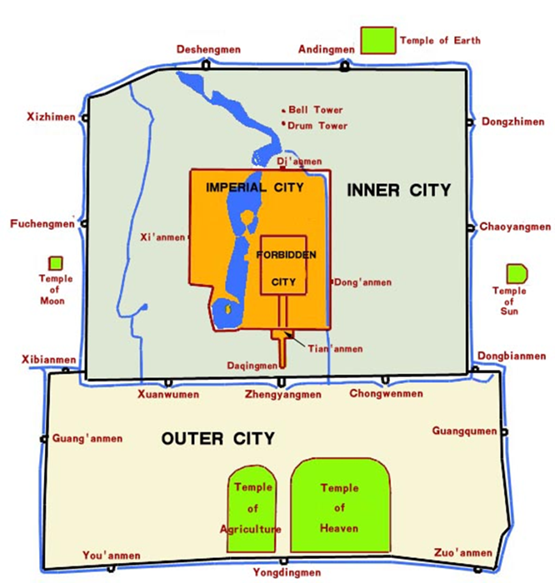 The structure of the walled cities all follow a pattern similar to the Forbidden City in Beijing, which consist of an Outer City, Inner City, Imperial City and Forbidden City. Persons were carefully classed and kept strictly to movement within certain areas of the overall city, with only the most important people at the top of the social hierarchy being able to access the centre of the city municipality. 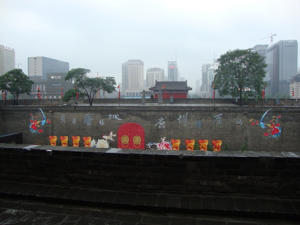 This walled formation still exists at many of the main cities and towns, although gateways and rules on physical movement are generally no longer adhered to. 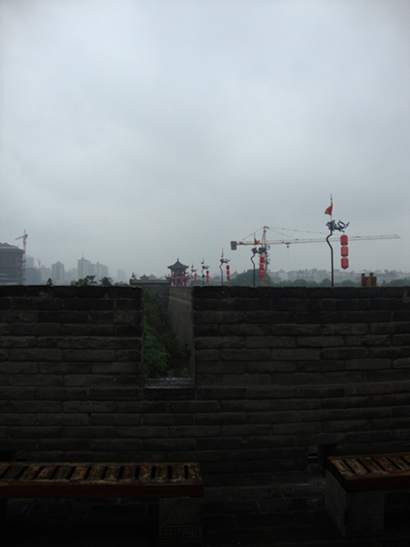 In Sichuan Province, I spent time visiting the structures of the walled towns of CiQiKou and Huangdong Complex. 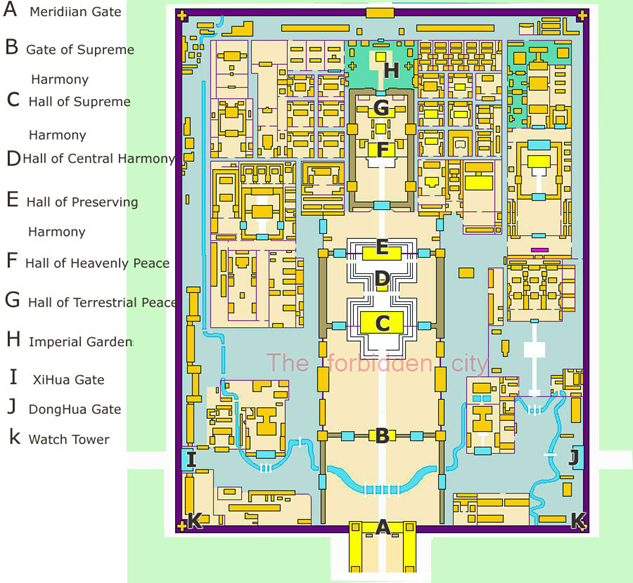 The original structures of gateways still remain between separate areas of winding walkways in inner, outer and central sections, although people can move freely between physical spaces. 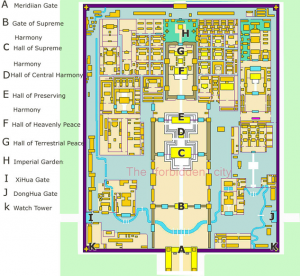 Similarly, I also visited the walled city of Xian, which was built in the Chang’an period prior to the Ming Dynasty, with the centre of the city formed around a walled rectangular configuration. Xian, in Shaanxi Province follows the structure of a series of external and internal walls, and historically entrances and exits were guarded with serious consequences. 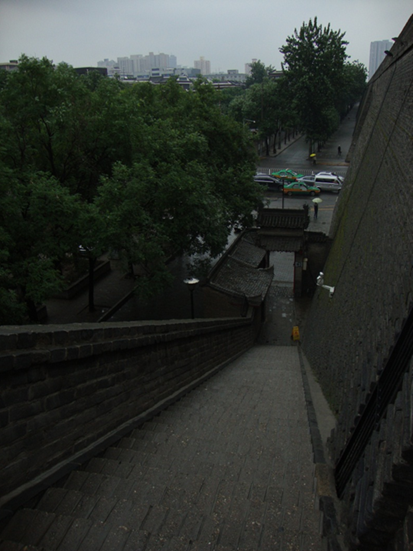 In many situations the walled structures, arenow glorified as successful tourist attractions, and are one of the few examples of historical architecture amongst the rapidly growing high rise skyscrapers. of social positioning. The current situation of online control by the PRC appears as telling a recurring fallacy to its occupants when attempting to enter certain spaces online. However, all PRC nationals understand that the information given by the government is a lie; thus permanently reinforcing the dissolved meaning of any information labelled as a ‘truth’ or ‘fallacy’. a democratic or libertarian approach to digital space within the PRC, or is this idealised notion of the internet outmoded and unrealistic anyway? Michel Foucault. 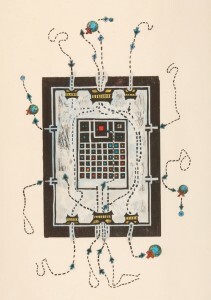 Of Other Spaces (1967), Heterotopias. http://foucault.info/documents/heteroTopia/foucault.heteroTopia.en.html. Mark Twain, The Jumping Frog: In English, Then in French, and Then Clawed Back into a Civilized Language Once More by Patient, Unremunerated Toil, illustrated by F. Strothman, New York and London, Harper & Brothers, Publishers, MCMIII,p. 64.
the ultimate knowledge = the honest knowledge = truth? On a conscious and critical level, the notion that actual ‘truth’ exists, or is a worthwhile entity for which to search for in everyday postmodernist digital society, strikes me, at first, as a pointless exercise. What possible ‘truth’ is there within the endless streams of tweets, posts and sites that are so riddled with self-promotion, spin, and often masked authorship? 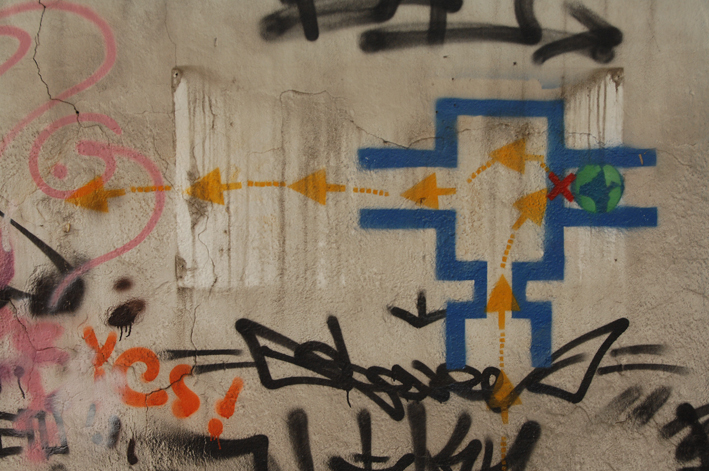 How does ‘truth’ online relate to any considered ‘truth’ in physical space? We ‘all’ know that the situation of living within postmodern digital society offers endless multiple speculations, criticisms, theories. There is no complete certainty, no evidence that can be ruled out entirely as a lie, and definitely no one way of living. The notion of ‘truth’ and its necessity for living is redundant, right? Or on the other hand, is the belief of ‘truth’ embedded so deeply in our cognitive mind set and behaviour – that we seek by way of discovering information, an attempt to reveal a ‘truth’? We are educated in institutions that often advocate the importance of truth, and the significance of uncovering the definitive information we can hold in complete certainty, closely linking this ‘ultimate knowledge’ to ‘the honest knowledge’. 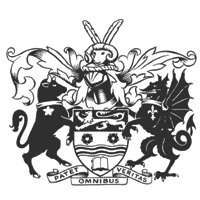 For example, the University of Lancaster’s institutional motto states Patet Omnibus Veritas – ‘Truth Lies Open to All’. In this dictum, the institution optimistically equates the obtainment of knowledge (achieved through exclusive higher study) to an idealised ‘truth’ which is positioned as the most desired attainment in life. At a glance, this suggestion of ‘truth’ in the universities branding, sits uncomfortably against HE pedagogy – which endeavours to promote independent, critical thinking. Instead of discovering collectively one ‘truth’, or answer accepted and practiced by all, our students should be questioning existing research and presenting their own individual lines of argument both within, and beyond education. Similarly, the University of Glasgow presupposes on its crest “Via, Veritas, Vita”, translated in English as ‘The Way, The Truth, The Life’. This is an abbreviated version of Jesus’s statement in John (14:6) from the greatest grand narrative of all – The Bible. ‘I am the way, the truth, and the life. No one comes to the Father except through Me.’ Again, pointing to ultimately, one way of being, one right and wrong, one truth and one lie. Both institutions promote critical thinking and research, however the philosophy at the core of the organisation suggest the notion of ‘truth’ being related to obtainment of knowledge through the research process. So how does uncovering information, or the truth, relate to the idea of The Truth, as in the grand narrative of ‘the truth, the way, the life’ ? 5292 miles to seek ‘truth’? So, I will admit freely at the beginning of June 2011, I found myself travelling 5292 miles from London, England to Chongqing, China, to investigate the ‘truth’ relating to a certain set of circumstances. 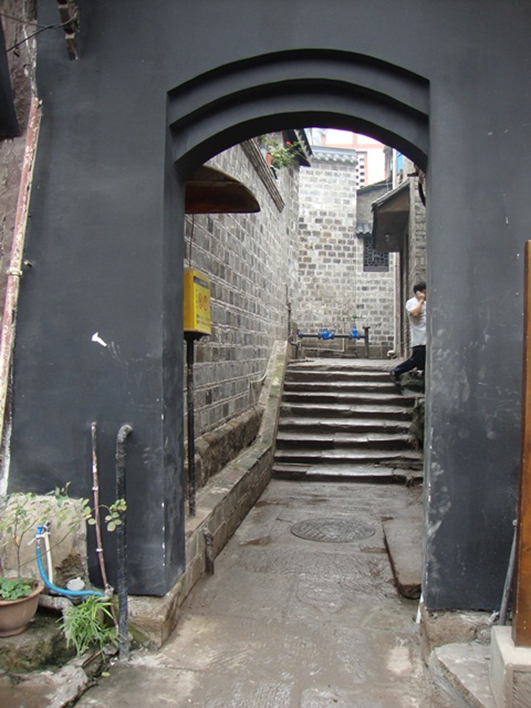 As part of a five week residency at the 501 Artspace in Chongqing, China, (funded by the Arts Council England, and supported by the Chinese Art Centre) I set out to ‘uncover the reality’ of current constraints set upon residents in the People’s Republic of China when occupying digital and physical space. 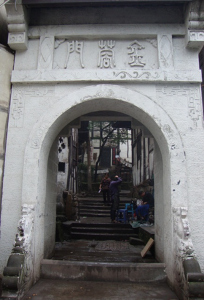 Within my brief, I would research into how local inhabitants occupied present day physical and urban space, digital space, and how these experiences of control related to historical Ming Dynasty architecture and town planning. 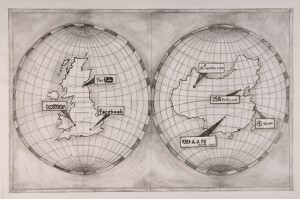 The research would inform a body of drawings, prints and installations exploring these themes. As you are more than likely aware from international media, internet users from the People’s Republic of China, cannot move freely within the supposedly libertarian internet. Numerous sites that are deemed as inappropriate, with overly sexual content, or questioning of the government and the country’s political history are inaccessible to users. Similarly, the majority of Western networking sites; Facebook, Twitter, Blogger and Posterous, are also banned to netizen’s. When encountering a banned site, the user is met with a screen that provides one of two euphemisms. The internet user is either re-directed to another safe ‘site’ or the screen flashes up with an informative page that the ‘network has timed out’. Both of these explanations, or redirections, can be classed as ‘a lie’. When I interviewed local inhabitants regarding their experiences of ‘redirection’, the response I met was firstly, a mixture of apathetic acceptance and lack of acknowledgement of the controlled situation from the government. Secondly, another group of locals felt frustrated by hypocritical governmental power over movement in physical and digital space. The censorship does not end with Redirection and Timeout issues; there were numerous narratives of email accounts being hacked and attached items being deleted from incoming mail, particularly from abroad. Similarly, when users access and inhabit internal PRC social networking sites, such as ‘Fanfou’, ‘Renren’ (which mimic closely iconography and features of western social networking sites) any untoward comments or behaviour are removed. Such aforementioned actions by the PRC’s government immediately appear as deceitful behaviour, functioning from a position of relentless control. From a Western position, the government is essentially lying to its inhabitants, providing false information for the reasons that occupants are demobilised or redirected. However, as my research and understanding of the culture developed, what first appeared as a clear lie and truth, did not ultimately ‘liberate’  myself or research. The evident hypocrisy of the government related to, relied, and perpetuated endless social and political systems within their society. The situation was, and is, much more complex than the simple difference between a truth and a lie. Lancaster University Website – ‘Origins and Growth’. 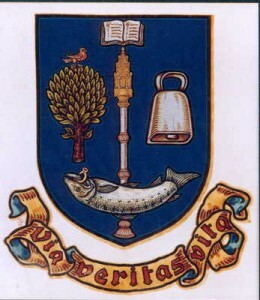 http://www.lancs.ac.uk/unihistory/growth/motto.html. Accessed: 18th October 2011.